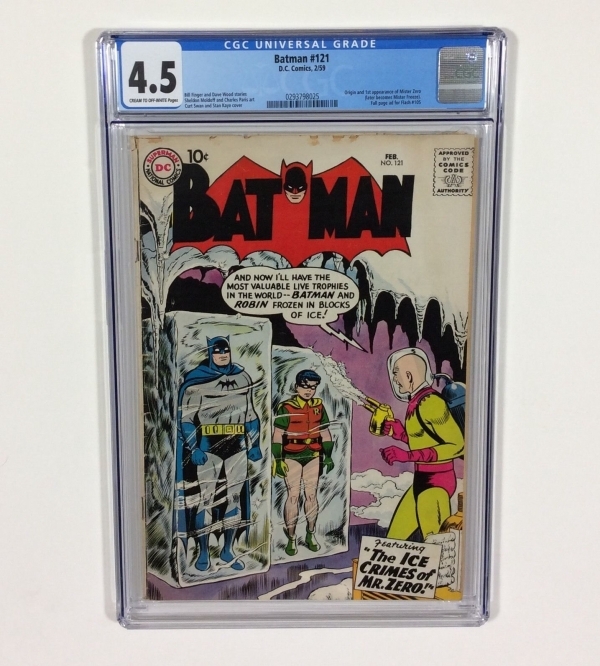 Condition of this comic is Certified CGC 4.5 Universal Grade. Pictures tell the story...good luck! NOTE: Most of my auctions start @.99 cents with no reserve. Right now I have a nice selection of Buy It Nows priced to sell, so be sure to check my listings often and save me as a "favorite seller". If you ever need any additional pictures to make a decision, please let me know and I will be happy to accommodate you. I work hard for my 100% seller feedback rating; you can be assured that whatever you purchase from me is what you see in the pictures or your money back no questions asked. U.S. Domestic First Class Priority shipping is $12 for this item including insurance and tracking info. Canadian and European Comic Book collectors are welcome! Shipping fees will be calculated by eBay based on your location and added to your invoice. Shipping a CGC encased comic to Canada usually costs about $15-20 depending on hopw much insurance is required (Europe approx. $25-30) so if the automated eBay shipping fee is more than what you expect please contact me because I can probably do better.